As Iraq recovers from a long series of horrific wars, starting with the US invasion of 2003, the US has to take on the responsibility for destroying the Iraqi nation, analysts have told RT. 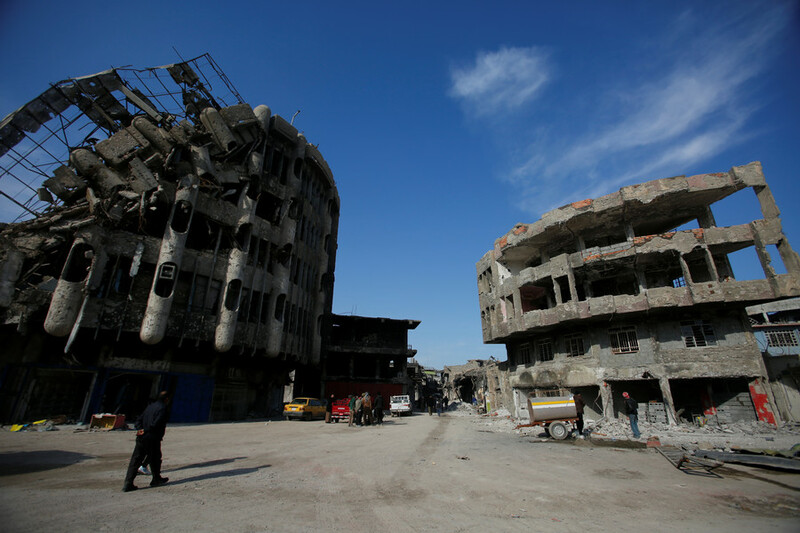 The government of Iraq needs $88 billion in reconstruction funds for areas devastated by war, Iraqi officials claimed at the international donors’ conference in Kuwait on Monday. 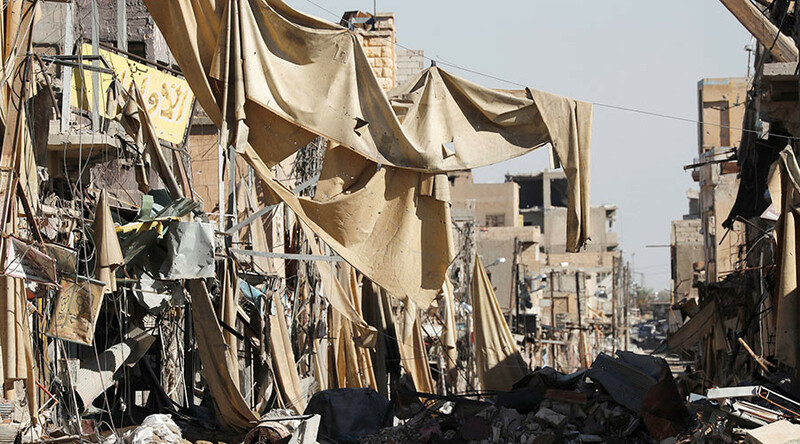 Around $22 billion will be required in the short term and another $66 billion in the medium term, said the director-general of the Iraqi Planning Ministry, Qusay Abdulfattah. However the US, which is expected to attend the conference, says it has no plans to contribute any money. 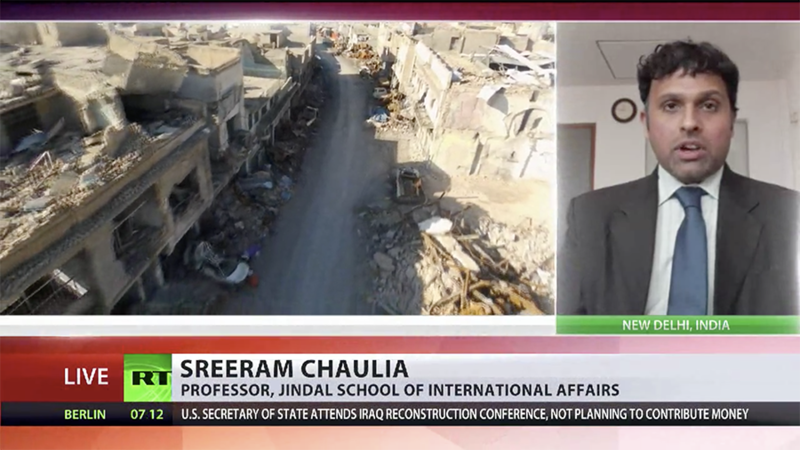 RT discussed Iraq’s plans to rebuild economy and infrastructure after devastating conflicts with Sreeram Chaulia, professor and Dean of Jindal School of International Affairs. As to who should be paying, morally, and where it can realistically come from, in Chaulia’s view, the US is now attempting to wash its hands of responsibility for the destruction of Iraq. 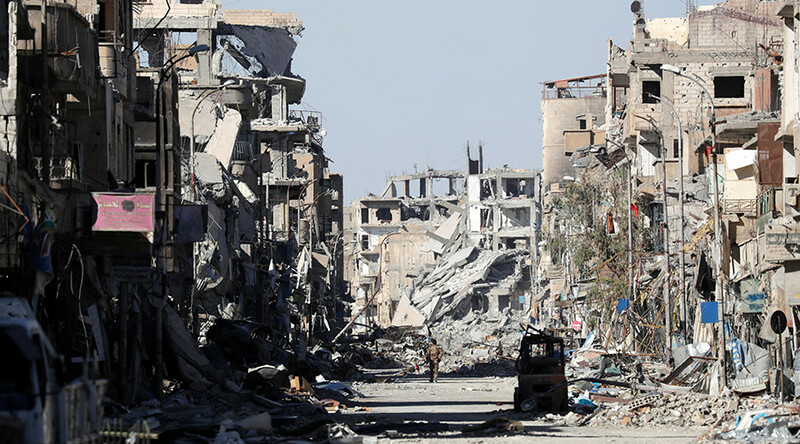 “It is clear that post-war long-term reconstruction requires significant financial support from abroad for a country that is just recovering from what has been a horrific long series of wars starting with the US invasion of 2003. I think it smacks of historical irresponsibility on the part of the US, which began this slide towards state collapse and state failure by overthrowing Saddam Hussein in 2003 to now wash their hands of and say ‘You know, we are going to just leave it to the private sector and we will ask our allies Saudi Arabia to come and pitch in the money.’ I think the US needs to own up for the some of the destruction that it has done in the process of this series of wars,” he said. 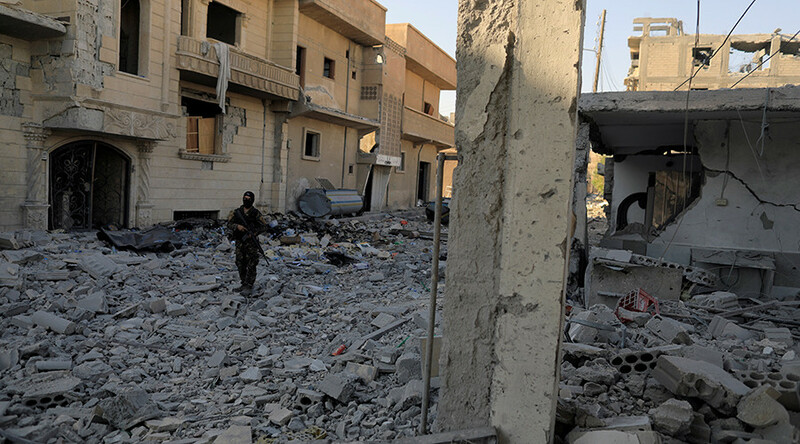 “So, they are not thinking in a very long vision for Iraq itself or for Syria itself. They see these as battlefields. 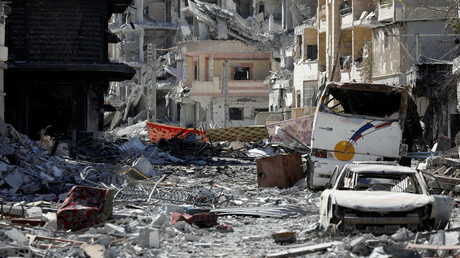 Not as opportunities to rebuild. 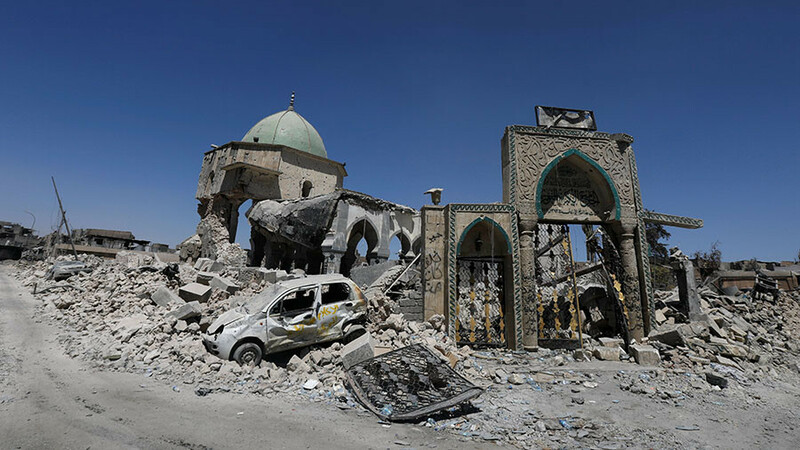 And this is an unfortunate myopic view which is going to lead to the long-term suffering because these towns and cities have been so devastated that they need all support, including the US,” he said. 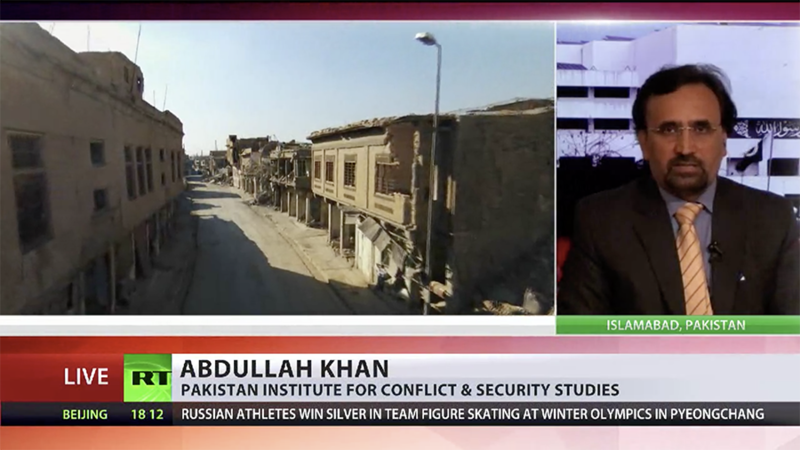 Abdullah Khan, managing director at Pakistan Institute for Conflict and Security studies, underlined to RT that it is important to say acknowledge that “American occupation of Iraq was illegal because there were no WMDs present in Iraq.” In his opinion, the US now has to take part in rebuilding the country that it has destroyed. 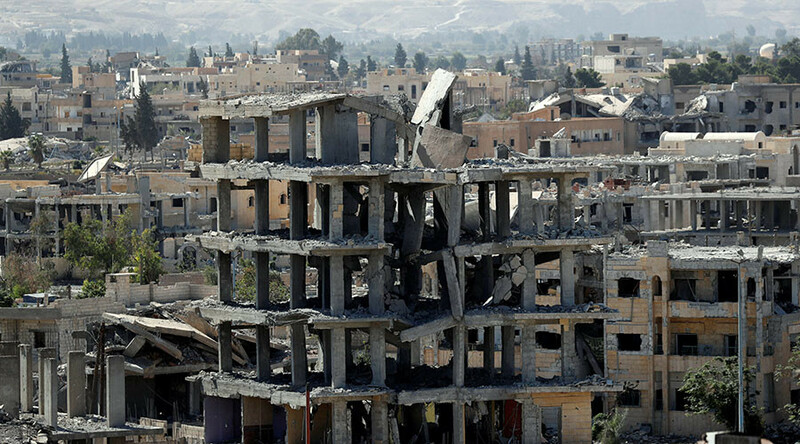 “They have destroyed the Iraqi nation, the Iraqi country. Not just Iraq. We are seeing the threat of [Islamic State or IS, formerly] ISIS, not just inside Iraq, but around Iraq and in the whole world. And that is just because of America. If the Americans do not play the role of rebuilding of Iraq, we can foresee the reemergence of ISIS in Iraq and surrounding areas,” he said. However, what the Trump administration are trying to do now is “pushing their Arab allies, like Saudi Arabia, Kuwait and others to pour in money into Iraq,” Khan said. In his opinion though, these countries are unlikely to offer aid unless there is a pro-Iran government in Baghdad.